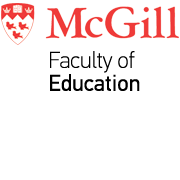 "'A huge class': McGill graduates 40 students from Indigenous language and literacy program", gushed a recent CBC article by Susan Bell and Betsy Longchap, posted November 26, 2018. The article centers on graduates of the certificate in Indigenous language and literacy education, a 30-credit program offered in the Cree communities over three years through a partnership between the Cree School Board and the Faculty of Education's Office of First Nations and Inuit Education (OFNIE). "The certificate is one of several programs offered in Cree, Inuktitut, Mi'kmaq, Naskapi and Mohawk through the office of First Nations and Inuit education at McGill. It is offered to people who want to improve their language skills for a variety of reasons," writes the article in part. Please click here to read the entire article.